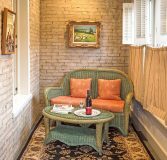 The Gertrude Schroeder room is located on the back side of the Schroeder Guest House at our Cedarburg, Wisconsin boutique hotel. 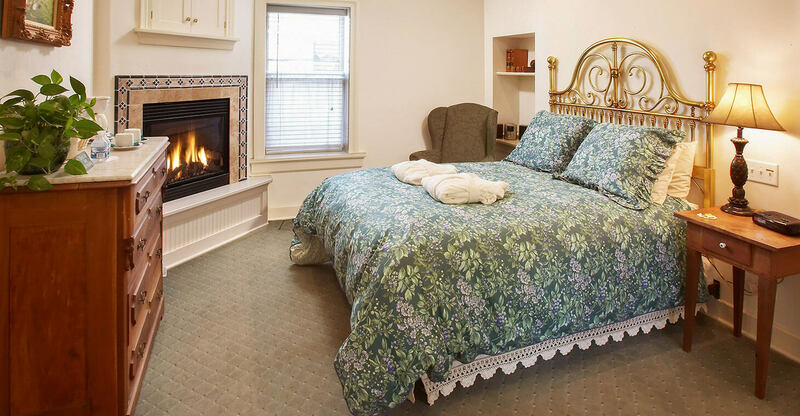 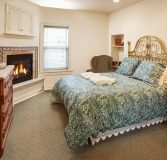 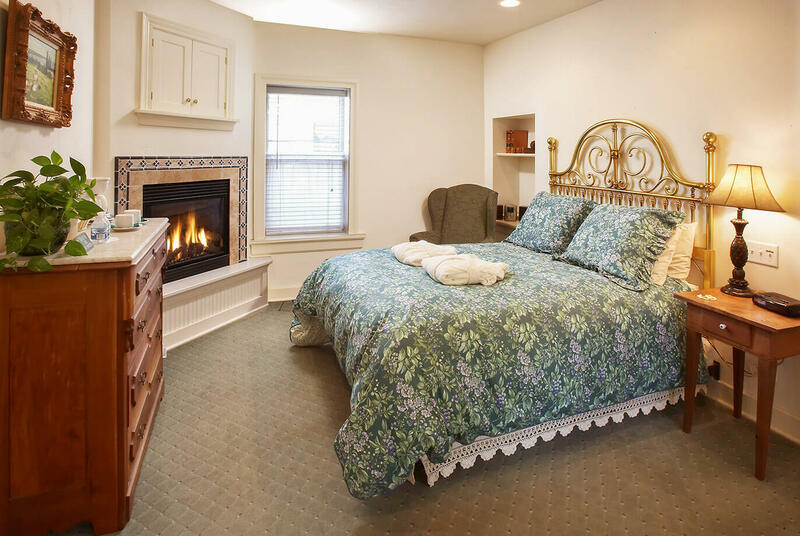 Decorated in the Victorian style, the room features a queen bed, over sized Whirlpool bath, walk in shower, cozy fireplace, and charming sun porch to enjoy a cup of coffee and relax. 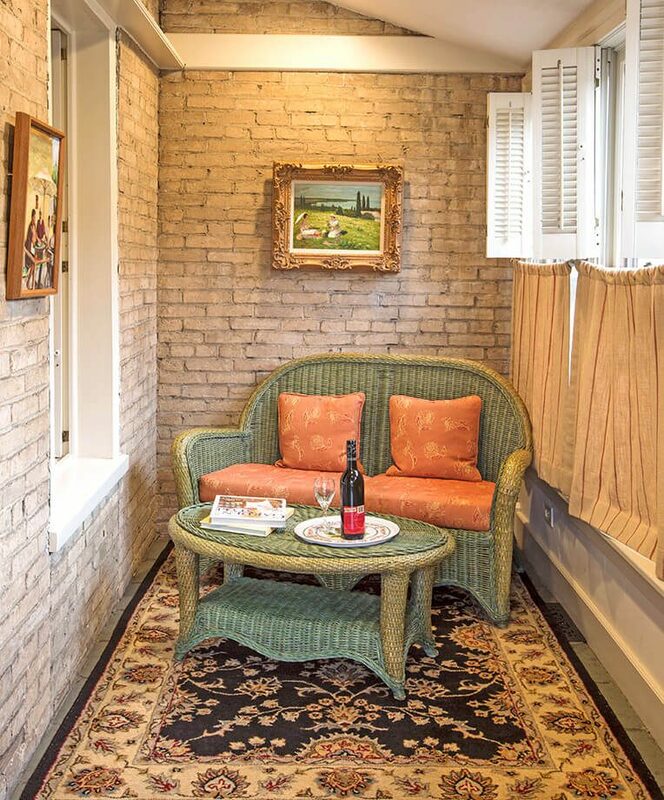 The private entrance makes this the perfect home base to explore historic Cedarburg during your getaway in Wisconsin.